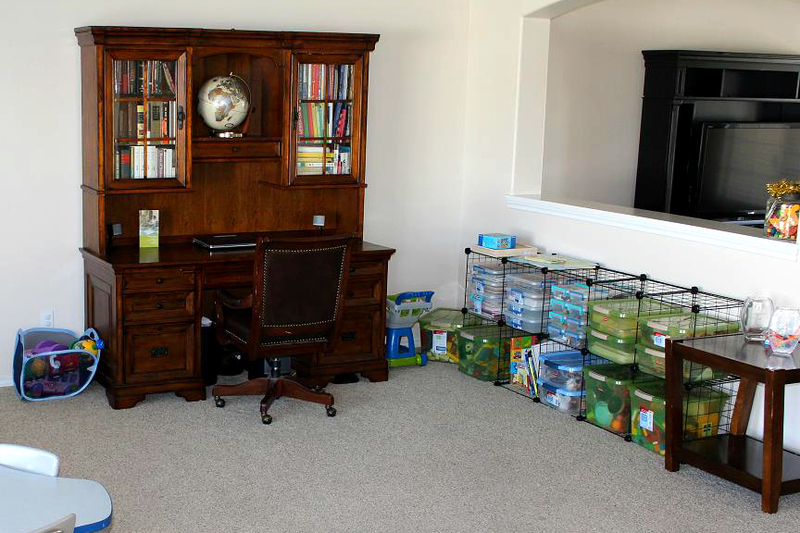 Getting your kids to clean up doesn’t have to be a struggle. 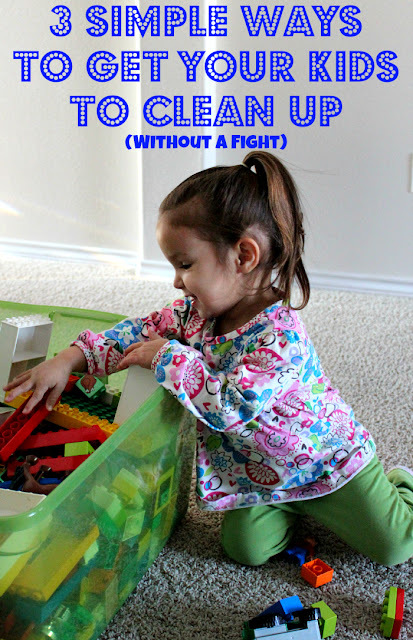 Here are 3 techniques I use that makes cleaning with kids an exciting experience! 1. A Manageable Mess: Once a mess becomes too large, no one wants to clean it, including me. So, I have all of our toys, games, and books divided up into containers. The rule is that each child may play with one container at a time. When they are done, they must put everything back before moving on to the next container. This method is great because at no point is the mess so large that it is unmanageable and our house is always moderately clean – just in case the neighbors pop in! 2. Off to the Races! 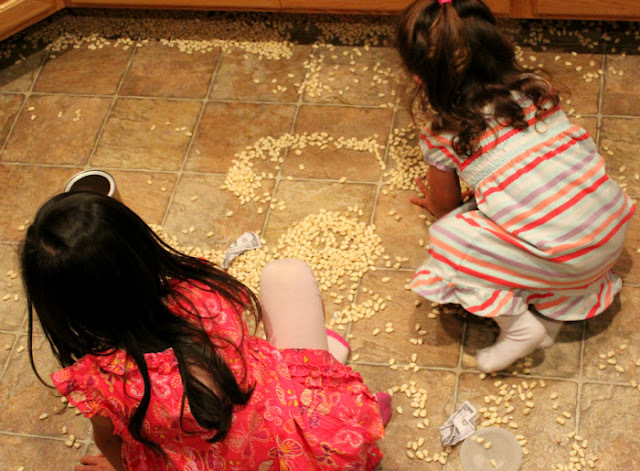 Often, my kids would drag the cleaning of large messes out all day. As long as I was watching they would clean, but the moment I left they would lose focus and begin playing. Also, they cleaned at a snail’s pass, hoping that if they waited it out, one of their sibling would eventually finish the job without them. That is why, instead of “cleaning a mess,” we head “off to the races!” I set a timer and give everyone an area to clean up. Whoever cleans up their mess first wins the race! 3. Repossession or Reward? When my children forget to put away their toys, I simply repossess them. Once a toy is repossessed, my children must buy it back with Popsicle sticks or by doing an extra chore. On the other hand, if they do keep their toys tidy, I reward them with Popsicle sticks or an occasional treat! 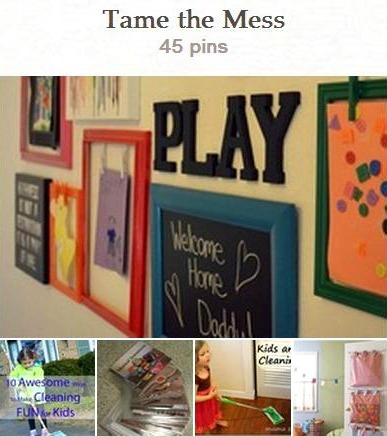 For more cleaning and organizing ideas, follow me on Pinterest! Have any tips for cleaning with kids? Please leave a comment! 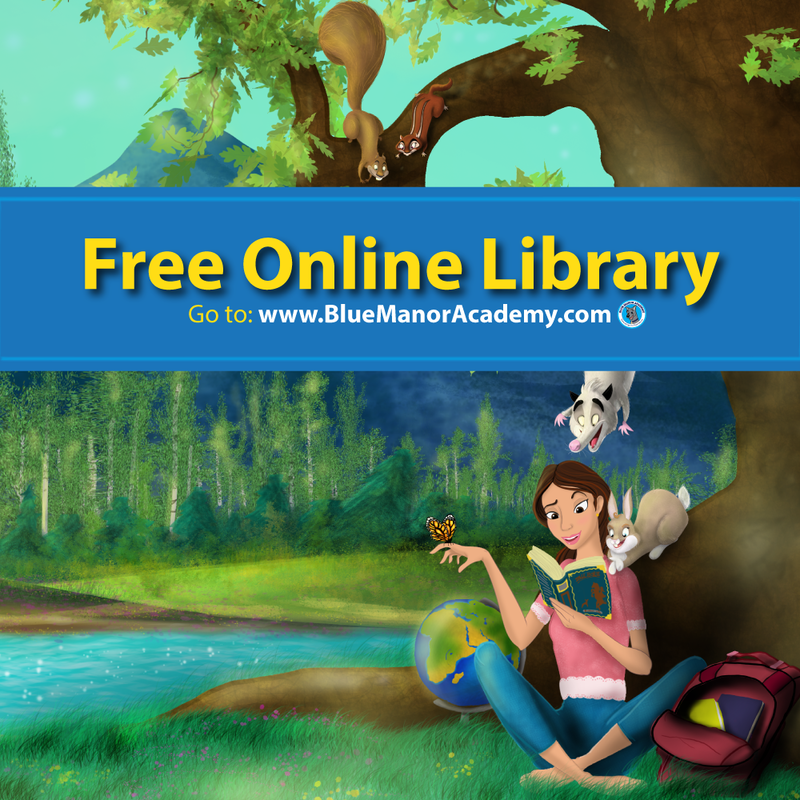 For more Parenting and Education resources, join me on Facebook! My kids are 12 and 20, I think I am going to use these tips with them! LOL! Really! Thanks! I wish could see their expressions when you repo their stuff! Lol. So glad you like them, Thank you. I make a game out of it usually. One of my favorites (and theirs) is dancing while we clean. I agree, music always makes the job more fun! Just wanted to stop by after I saw you visit me at Joy’s Jots, Shots & Whatnots. Glad to see you have a blog for educating children. I taught for 30 years and it’s always good to see others go into the career of meeting the needs of children. thank-you! I have played some of these very games with my children/grand children. Adding music to the job really helps as well. EnJOYIng your blog! Thanks for stopping by Joy! Great ideas! We are big fans of the container plan. We implemented them when my son became a huge Lego fan. I like the “race” idea. I feel like I am always egging them on. I will try the timer — thanks for sharing! I’m visiting from the Bloggy Mom January hop. These are wonderful tips! I am going to pin this post to help me remember them. For some reason competitions do NOT work with my kids though. *sigh* We repossess things too! We also repossess TV time or iPad time. Seems they are much more motivated when you put on their favorite show and tell them they can’t watch it until they are finished and you are NOT re-starting it! 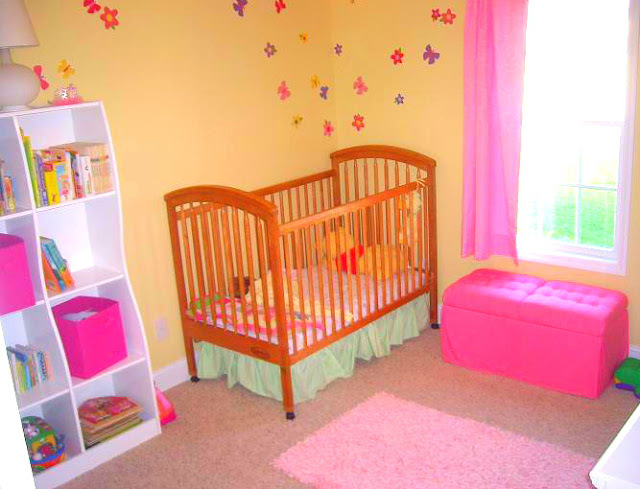 My daughter’s room has almost the exact same color scheme! Thanks for the ideas! When our playroom gets to be such a big mess than nobody can figure out where to start, and we all feel overwhelmed by it, I pull out a board game with a die. Trouble is what we usually play. Each time the die is cast, the player moves his piece and then picks up the same number of items as he rolled on the die. I usually direct him to what to pick up, as in, “You rolled a 5. Pick up 5 cars and put them in the box for cars.” I play too, and I take my turn picking up. By the end of the game, the playroom is much cleaner, and nobody even feels like they worked. Great game Janna! I can see my kids loving that game. I like the bin idea. So many times they seem to take out every toy they own. Then all the pieces get mixed up too. 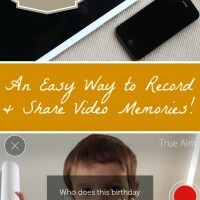 Pinning these great tips! Thanks for stopping by and pinning Vicky! I love this. Such great ideas. And you are so right, once a mess gets out of control no one wants to tackle it. These are such great tips! I have a 10 yr old boy and a 4 yr old girl, my daughter never picks up after herself and I need all the help I can get in trying to teach her she needs to pick up after herself. I am starting the repossession and bin idea today! So excited for you! Good luck. We are planning to implement a similar system where our children’s stray belongings will be collected and they must “purchase” them back with marbles. Sounds like a fun system and don’t worry, my unit is attached! Thanks for stopping by. You have a great system! But my point is other. I leave my kids to play, imagine and create as much time as they need. 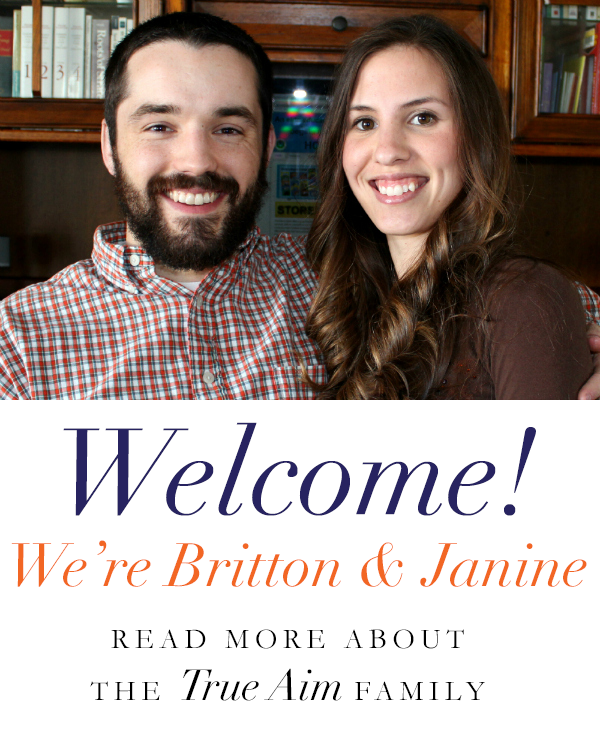 They do messes, yes, but I don’t freak out, it’s not a big deal. They help me to clean, and they’re proud of themselves doing it. It’s not a great system, and the house is not the tidiest, but the kids are happy and have their time on their own, and I have time on my own. Greets!